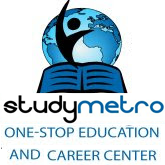 Study Metro helps students to make the right overseas education decisions. Our expertise in the field of overseas education has made us a time-tested resource in helping students to gain admission for suitable courses in recognized universities across the globe. Choosing a University is one of the most difficult decisions a student faces in his life. We not only offer quality education, but also help students to develop the required skills needed for admission.